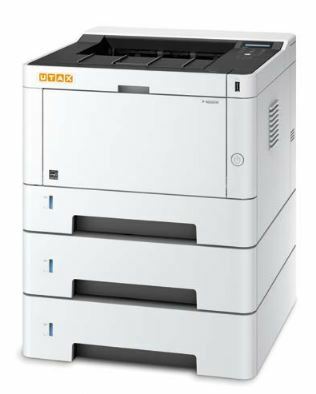 UTAX P4020DN/UTAX P4020DW – A4 Mono Printers – This compact printer can find a suitable place to work in even the smallest office. With a print speed of 40 A4 pages per minute. Both printing systems offer a two-line LCD display that features clearly understandable buttons.